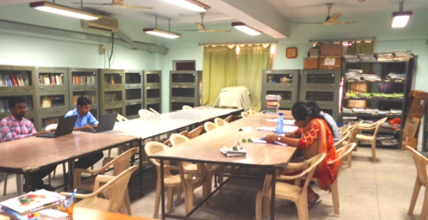 Regional Centre, Kolkata | Ali Yavar Jung National Institute of Speech and Hearing Disabilities (Divyangjan), Mumbai. 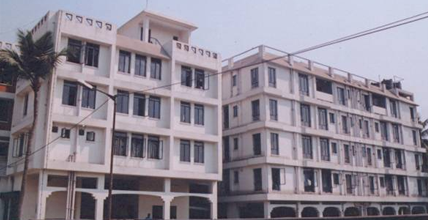 Ali Yavar Jung National Institute of Speech and Hearing Disabilities (Divyangjan) , Regional Centre Kolkata was established in 1984 as first regional centre of AYJNISHD, Mumbai - an apex autonomous National Institute under the administrative control of Department of Empowerment of Persons with Disabilities (Divyangjan), Ministry of Social Justice and Empowerment, Government of India. The major objective of the Institute is to train professionals for working in the area of Speech and Language disorders. AYJNISHD, RC-Kolkata started with diploma level course for the educators of the Persons with Hearing Impairment and gradually added different diploma, degree and post-graduate level courses in the field of audiology and speech language pathology, education of the persons with hearing impairment, vocational training of the persons with hearing impairment and Indian Sign Language. early intervention, pre-school education to vocational guidance.For the benefit of people with late intervention or wanting to use sign language as an option to communicate, Institute is providing training in Indian Sign Language at different levels including one year Diploma in Indian Sign Language Interpreter Course. One of major objective of the Institute is to provide information for services and concessions available for persons with disability. A unique project is being undertaken to provide information in all areas of disability through telephone. 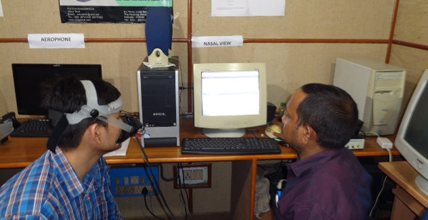 Institute has started services Disability Information Line (DIL) in various parts of the country including in the State of the West Bengal, Bihar and Sikkim. Strength of our society is in empowering the persons with disability. Institute by providing diagnostic, therapeutic and rehabilitative services empowers persons with hearing disability to be a contributive citizen of the country. Nature has given us two ears to hear. Contrary to popular myth that one ear is sufficient to hear, research has shown that binaural hearing (hearing from both ears) is essential for age appropriate speech and language and social development especially in children. Human Ear can respond to 20Hz to 20000Hz frequency of the sound and sound reaching 120dB or above may create a sense of discomfort in the ear. Audiology is a field for measuring of hearing sensitivity of individual ear with procedures of rehabilitation by means of providing amplification and ear moulds for the persons with hearing loss. Modern audiology has made it possible to detect and quantify hearing loss of not only grown up children but also of young children. Children within three months of life can be well identified for hearing disorders and early intervention, if begin, within six months of life may lead to significant improvement in terms of developing verbal communication. 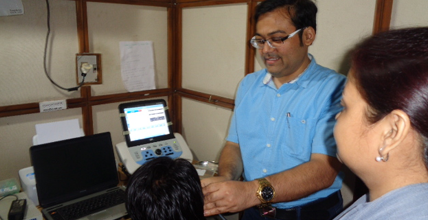 Audiologist uses various equipments and techniques like pure tone audiometer, admittance audiometry, speech audiometry, Auditory brainstem response (ABR) test, Otoacoustic emission (OAE) measures and Auditory Steady State Responses(ASSR) for hearing evaluation of children and adults. Both behavioral and objective hearing assessment leads to confirmation of hearing loss. Children or adults found to have irreversible hearing loss are fitted with amplification devices. 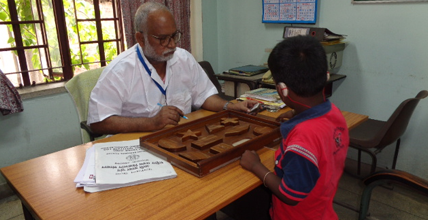 Adequate auditory training provides benefit from the hearing aid and facilitates communication skill developments. Evaluation and diagnosis of hearing impairment. Verbal communication has been unique to human beings. Mostly we communicate through speaking. Hearing is essential for developing language and speech skills. A child with deafness may have difficulty in developing spoken language. Speech and Language therapy enables persons with speech language disorders to achieve normal or near normal language and speech development. Apart from deafness, there may be various causes for disorders of speech and language. Speech and language disorders are observed in many conditions like cerebral palsy, mental retardation and autism spectrum disorders. Some time speech disorders are due to faulty learning or due to defect in any of the speech organs. Speech Language Pathologist use modern equipments such as computer aided speech diagnostic and therapeutic software to evaluate speech physiology, parameters of voice and rhythm using instrument like aerophone, nasometer and laryngeal endoscope and Dr Speech. Speech language pathology unit of AYJNISHD, ERC is well equipped with latest technology used for diagnosis and therapy of speech and language disorders. Children having defect other than deafness and having speech language disorder may also avail the services of speech language pathology unit. Children having stammering or stuttering or voice problem or articulation errors may attend speech language pathology unit. Children having speech disorder as a result of cerebral palsy, autism, mental retardation may also attend the speech therapy clinic of speech language pathology unit. Adults having communication disorders due to various causes such as brain injury or trauma may also attend the speech and language pathology unit. AYJNISHD, ERC provides educational services for children who find difficulty in developing verbal mode of communication. Early stimulation of children with deafness after being fitted with amplification device helps them to acquire adequate vocabulary and school readiness skills to attend pre-school for children with hearing impairment. Institute has facility for providing early stimulation in the form of Parents Infant Programme (PIP) and pre-school for children with hearing impairment. It is desired that after regular training backed with speech language therapy, young children may find themselves adequately prepared for admission to regular schools. Children with hearing impairment are also exposed to reading and writing skills development and sensory integration. Listening and literacy training too are integral part of educational services at individual level as well as in groups. Inclusive education is the present policy of education including for children with hearing impairment. 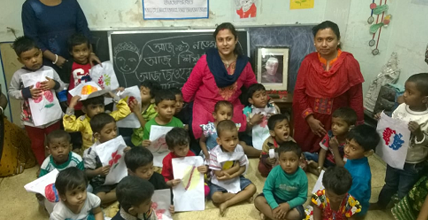 Parents of children with hearing impairment are informed and trained in the monthly meeting conducted at AYJNISHD, ERC, Kolkata about different aspect of educational needs and ways and means to achieve it. Regular educational guidance will facilitate children with hearing impairment to move on to higher education. Govt. 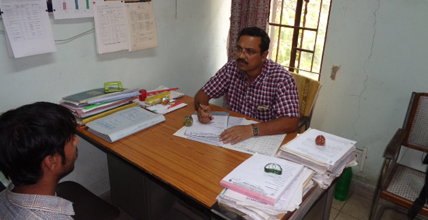 of India has reserved 3% seats in higher educational Institute for persons with disability. Early identification of hearing imapiremt, early intervention can sustain children with hearing impairment in inclusive educational set up and prepare them for moving to higher education. There have been efforts for providing extra help for children who are attending higher classes at individual basis at AYJNISHD, ERC, Kolkata. For any rehabilitative program for the persons with hearing and communication disorders, it is essential to provide skills for job which can be at sheltered or non-sheltered levels based on person’s skills and aptitude. 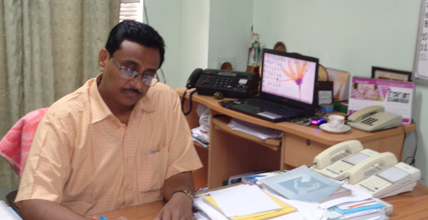 AYJNISHD, RC-Kolkata has made efforts to liaison with Govt. Organizations / Non-Govt. 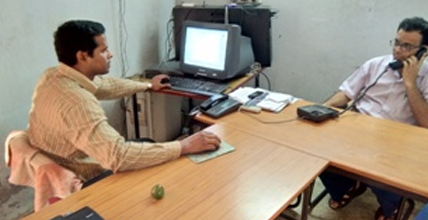 Organization s and Multi-Nationals to provide job opportunities for persons with hearing impairment. Persons with hearing disability looking forward to jobs may enroll at AYJNISHD, Mumbai through the website www.jobsforthedeaf.nic.in or at AYJNISHD, RC-Kolkata. Subsequently the candidates are informed as and when job opportunity arises. The vocational counselor and the Social Welfare officer of the Institute are in constant touch with the potential employer and persuade them to give opportunity for work to the persons with hearing impairment. 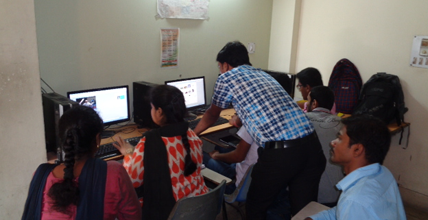 Institute has training program for learning computer for persons with hearing impairment. Persons with hearing disability who have passed class Xth standard or above may take one year program in computer application course. Psychological and behavioral assessment is very helpful in selecting the appropriate line of rehabilitation for the persons with hearing impairment. Behavioral assessment of the persons with speech, language and hearing disorders is conducted by the Clinical supervisor (Psychology). Some of persons with speech, language or hearing disorder require therapeutic intervention such as behavior modification which is provided as part of therapy to augment speech and language development. Due to late intervention or inability to develop verbal skills, children with deafness may face communication problem. Conventionally children with deafness pick up gestures for communication. Sign language has been one of the modes of communication used by the children and adults with deafness. AYJNISHD, Mumbai developed and propagates the use of Indian Sign Language (ISL) throughout the country. Indian Sign Language cell of AYJNISHD, ERC, Kolkata has been training persons with deafness as well as persons without deafness in different levels of ISL. Even a one year diploma course is also available to become ISL interpreters. Dissemination of information is also one of the objectives of the Institute which is being fulfilled by having computerized system of accessing information through telephone. AYJNISHD, Mumbai has established Disability Information Line (DIL) – a system of accessing information in the area of hearing, visual, orthopedic and intellectual disabilities in various part of the country including in West Bengal. For the benefit of students of the various courses academic cell coordinates to implement the academic calendar of the different courses. In case of any Difficulty students can approach the academic cell. 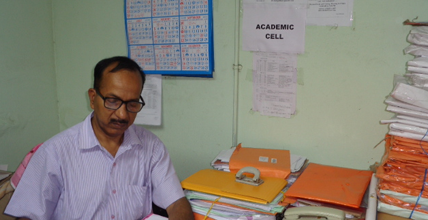 Academic cell may direct them to Student Welfare Officer or course coordinators and tutors accordingly. Administrative unit manages and supports all the activities of the institute for the smooth functioning of the institute. 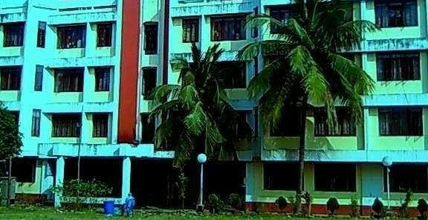 AYJNISHD, RC-Kolkata has its own air-conditioned library which contains more than 2500 (Audiology-250, Speech language Pathology 200, Special Education 150, General Education 200, others 1700) text books with an approximate cost of Rs. 37 Lakhs. Most of the books are of foreign authors in the area of Audiology, Speech Language Pathology, and Education of Children with Hearing Impairment, Psychology, Anatomy, Physiology, Electronics, Statistics and Linguistics. Apart from the text books, library has a set of Encyclopedia, Referral Manuals, Magazine and Compact Disk, reading materials such as Annual Reports of NGOs, Newsletters of RCI, NILD, NIEPID, AYJNISHD and other organizations. Institute also subscribes to fifteen numbers of magazineand five Bengali/Hindi/English daily news papers. The Institute library is enriched by subscribing 18 International Journals costing approximately Rs. 6 lakh for each calendar year and all the volumes are bounded for ready reference. Facility to accesses Online journals and e-books is also available. - MASLP Two Years Course i) Bachelor of Audiology Speech-Language Pathology or any equivalent degree recognized by the respective University and RCI, New Delhi. Two and half year course Degree course in any discipline or equivalent from any UGC recognized University and on the basis of merit in the Entrance Examination. - BASLPFour Years course 1)The eligibility is 10+2 with Physics, Chemistry, Biology/ Mathematics/Computer Science and English and any other fifth subject. 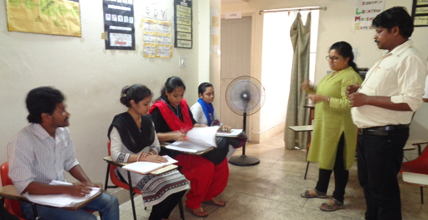 The AYJNISHD RC-Kolkata conducts several Short Term Training Program in institute as well as outside institute for different categories of professional/personnel such as Nurses, Health workers, Teacher, Special educator, Anganwadi worker , Audiologist, Social Worker , Psychologist and Parents etc. The main objectives of this Short Term Training Program are to orient / update the professional / personnel in the area of Hearing Disabilities. Research is an integral part of academics. Students are encouraged to take research work as part fulfillment of Master degree in Audiology and Speech, Language Pathology. Staff and students are encouraged to write articles and present the same in leading national or international conference. Articles are also sent for publication in international and national journals. 11 Mr. Soumen Palit L.D.C.